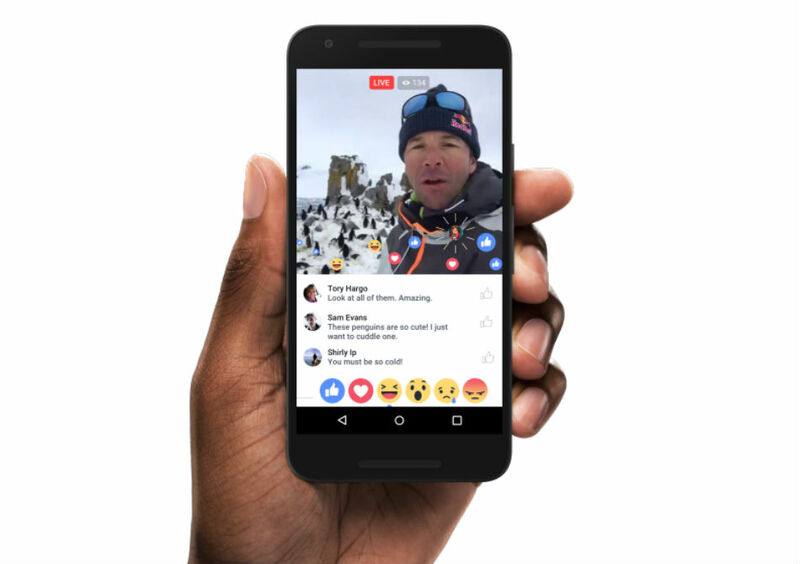 Facebook announced changes for Facebook Live today, changes that will affect those who broadcast their own happenings, as well as those who are viewing the broadcast. Starting now, users inside of Groups and Events can begin live broadcasts for members to view, but for viewers, they have been given new ways to express themselves while watching. To do this, Facebook is including Reactions for viewers, which are those six icons that sum up the entire range of human emotion you see on your News Feed. For example, you can Love a live broadcast, say, “Wow” with a emoji, or express sadness with the teardrop emoji. Thanks to another addition, broadcasters can include live filters for their videos, as well as watch a replay of broadcast comments, in case they happened to miss a particular one during the stream. Facebook claims that they will also add the ability to draw and doodle on top of live broadcasts in the future. If you are ready to get down on a bit of live broadcast, make sure your FB app is updated from Google Play.